I get giddy with excitement…over food. Now that we finally seem to be getting some good weather some of my favourite spring things are here to be enjoyed and that was the topic of my conversation this week with guest host David Lennam on All Points West. First up was rhubarb, a highly underrated vegetable, in my opinion. Wait. Is it a vegetable or fruit? According to my Oxford Companion to Food, botanically speaking, rhubarb is a vegetable. But the US Customs Court in Buffalo, New York, in 1947, ruled that rhubarb is a fruit, since that is how it is normally eaten. The Companion further reveals that it was known in classical Greece and Rome as an imported dried root from Asia that was used for its medicinal properties, and it also became known that way in England in the 16th century. It took another few hundred years before people started using it in recipes. Do NOT eat the leaves, they have high levels of oxalic acid in them which is not good for you. The first thing I do with it every year is make pies. My favourite is a recipe (below) my sister uses all the time for a rhubarb sour cream pie. This year I made my own crust using some of the hazelnut flour from Salt Spring Sunrise Organic Edibles I talked about a few weeks ago. If it starts to get plentiful and I get a donation from a neighbour who has too much rhubarb on their hands (Hilary and Patty, that’s you) then I will either cut it into chunks and freeze it, or if it lasts into strawberry and raspberry time then I combine all the fruits together with just a bit of sugar and make it into a freezable compote which I then enjoy throughout the winter with some plain yogurt, which makes a great light dessert…or over vanilla ice cream if you want it not so light. Today I had David taste asparagus soup. Asparagus risotto. Pickled asparagus I have left over from last year. I would give you the recipe for asparagus risotto but I made it in my Thermomix in about 15 minutes with no stirring. 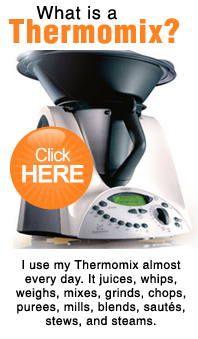 You probably don’t have a Thermomix. But this risotto rocked, let me tell you. If you want to get a Thermomix I can get one for you. I also made the asparagus soup in it. Chopped, cooked and pureed, it was wonderful, silky, cream-free soup in 12 minutes. My number three star of the season? Johnny Depp as Captain Jack Sparrow, skewering a spot prawn. Uh, I mean spot prawns. One of BC’s best sustainable seafood products, the season just opened last week and runs until about the end of June, so if you like them live and wriggling now is the time. And if you are looking for a fun Mother’s Day weekend activity there is the Spot Prawn Festival in Cowichan Bay and the weather forecast looks fantastic. Visit the website to get all the details, it is now a two-day festival (Saturday and Sunday) and there are lots of chef demos using spot prawns on Saturday, games and face painting for the kids, food booths and much, much more. The spot prawns I made for David Lennam were a very simple preparation using a new chili-lime sea salt made by Organic Fair in Cobble Hill that I am putting on almost everything! Coat, shell on, and broil for about 5 minutes on each side in your oven, then peel and eat, and you get those great juices mixed in with the chili lime salt all over your face. If you want to listen to my chat and tasting session on All Points West, just click here for a link to the audio. This is a recipe my sister clipped out of some newspaper food section years and years ago, but now it’s just Cathy’s rhubarb pie recipe! I don’t bother making pie crusts any more. The ones you can buy in the frozen food section work just fine! Spread rhubarb in an even layer in the bottom of the pie crust. In a medium bowl, whisk together the egg, white sugar, sour cream and 1/3 cup of flour until smooth. Pour over the rhubarb. In a small bowl, mix together 1/2 cup of flour and brown sugar. Cut in butter until the mixture is crumbly. Sprinkle over the top of the pie. (if the filling starts flowing over the crust, place the pie pan on top of a baking sheet. Bake for 15 minutes in the preheated oven, then reduce the heat to 350 degrees F (175 degrees C). Continue to bake for 40 minutes, or until the edges have puffed, and the topping is golden. The center may still be slightly jiggly. Cool completely before slicing and serving. 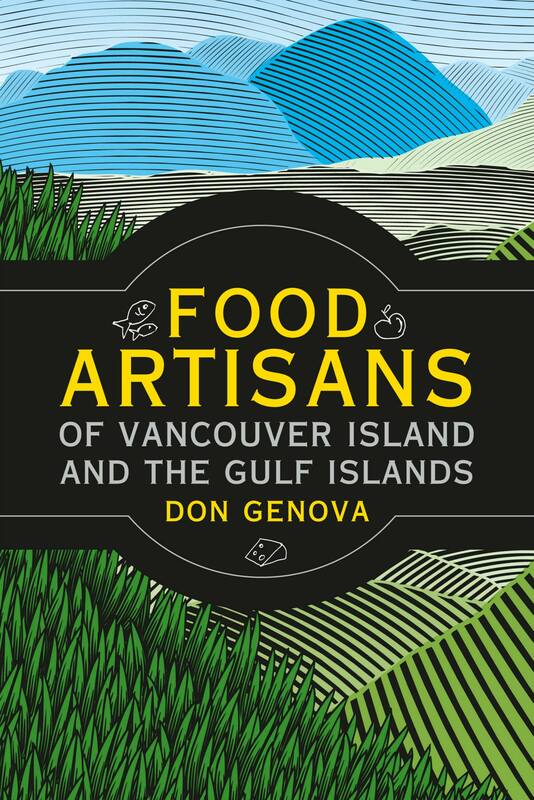 This entry was posted in Food Matters, The Thermomix Diaries and tagged All Points West, Artisan Foods, asparagus, CBC Radio, Don Genova, Food Matters, rhubarb, spot prawns, Thermomix. Bookmark the permalink.